Leading figure of the southeastern Cherokee, Nanye-hi, or Nancy Ward, was born into a powerful family in the Wolf clan, who lived in the hills of what today is Eastern Tennessee. Most Native Americans were matriarchal, not patriarchal, and her important heritage thus came from her mother, while her father was a displaced Delaware Indian. Her childhood was one of constant terrorism, as warfare with European settlers and with other tribes meant that no day passed without the real threat of violence. Nanye-hi’s husband, with whom she had two children, was killed in a raid on the Creeks, the Cherokee’s land rivals, during the 1755 Battle of Taliwa. Nanye-hi fought by his side, chewing the lead bullets for his rifle to make them more pointed and deadly. When the enemy killed him, she rallied the Cherokee warriors, leading a charge that brought victory to the Cherokees. Because of her actions, the Cherokee clans chose her as Ghighau, or the “Beloved Woman.” In this powerful position, her opinion was influential in the tribal government because the Cherokees believed that the Great Spirit could speak through the Beloved Woman. As Beloved Woman, Nanye-hi headed the Women’s Council, sat on the Council of Chiefs, and had complete power over prisoners. 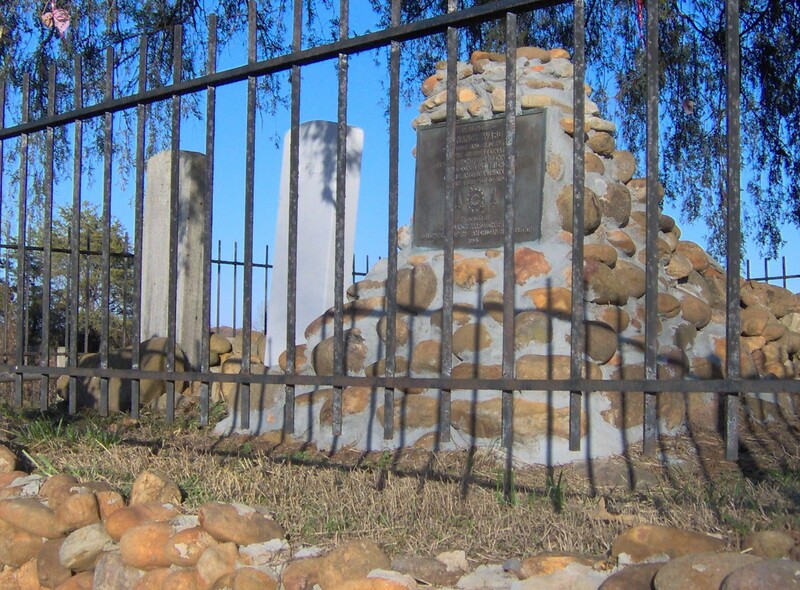 During the late 1750s, South Carolina colonists built Fort Loudin on their western frontier, where the Cherokee and settlers traded and became friends. Several Cherokee women married Euro-American settlers, including Nanye-hi. She married Bryant Ward, an English trader who lived among the Cherokee for several years and bore a daughter with him. She took the name Nancy Ward and learned English. As she came to understand more about the Anglo-American ways she came to believe that the best way for the Cherokee to survive was to coexist with the new settlers. Bryant Ward already had a European wife living in South Carolina. After a few years he returned to live with her and their children, but visits continued between Bryant and Nancy throughout their lives. Peace reigned only briefly, however, between the 1763 end of the French & Indian War and the beginnings of the American Revolution against the British in the 1770s. Again, women on both sides lived in a state of terrorism for another decade. As more and more settlers encroached on Cherokee lands, various Cherokee warriors increased attacks against them – strongly encouraged by British soldiers. In 1776, the British requested that the Cherokee attack the settlers in their area. Most of the Cherokee were on the side of the British and wanted to kill all of the colonists invading their lands, but Ward worked for peace. She freed two prisoners and sent them to warn the settlers of the attack so that they could prepare a defense. Historians debate about her motive for doing so. 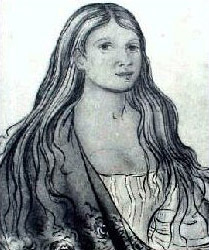 Some say she was showing patriotism towards the colonists’ cause; others say she was trying to retain friendship with powerful Euro-American leaders; and others believed she was using practical wisdom in recognizing that the Cherokee were outnumbered and out supplied and it was in their best interest not to provoke more war. (2) At the war council following the attack, during which both sides suffered losses, Ward voiced her opinion that “peace and patience between us is the only way to guarantee” survival. (3) However, the others on the council believed they must kill all settlers to keep them from taking over the Cherokees’ lands. They wanted to burn all of their prisoners, starting with the women. As Beloved Woman, Ward had power over the fate of prisoners and the warriors wanting to burn them were challenging her authority. Ward immediately left the council and saved the life of Lydia Bean, a prisoner who some warriors had already tied to a stake to be burned. Bean stayed with Ward as her guest until it was safe for her to return home. Bean taught Ward how to make butter and cheese, which led Ward to buy her own cattle and introduce cows into Cherokee’s economy. The warfare between the settlers and the Cherokees continued. In October 1776, Colonel William Christian led 1,800 troops against the Cherokees, destroying most of their villages. Out of respect for Ward, he left her village alone. The grave of Cherokee “Beloved Woman” Nancy Ward (right, with the plaque) and her son, Fivekiller (left), and her brother, Longfellow (middle) near Benton, Tennessee, in the Southeastern United States. This small cemetery is situated along US-411 on a small hill overlooking the Ocoee River. Ward continued to try to bring peace to the fighting factions, realizing that the only good solution was co-existence. In 1781, Ward again warned the settlers again of an impending attack by the Cherokees and asked for peace, this time by personally meeting with the leaders. Her warning did not end the bloodshed but did keep her and her family from becoming prisoners when her whole village was captured. In July of 1781, the settlers ordered the Cherokee to conduct a peace treaty and selected Ward to lead the negotiations. Ward said in part of her speech, “you know that women are always looked upon as nothing; but we are your mothers; you are our sons. Our cry is all for peace; let it continue. This peace must last forever. Let your women’s sons be ours. Let our sons be yours. Let your women hear our words.”(4) After hearing her speech, the commissioners rewrote their demands, allowing the Cherokees to retain some of their lands. The two factions continued negotiations but the murder of a Cherokee chief in 1788 ended the chances of fair peace negotiations. The Cherokees tried to assimilate into what was becoming mainstream society, yet they continued to lose more and more of their lands to the Euro-Americans. In 1817, at age seventy-nine years, Ward was too weak to attend a Council meeting but sent a message to her people that said, “Your mothers and sisters ask and beg of you not to part with any more of our land. I have great many grand children [sic] which I wish them to do well on our land.”(5) However, by then, the Cherokees had become much more patriarchal and a Beloved Woman’s words did not hold as much weight. Ward was the last Beloved Woman of the Cherokees. As an elderly woman, Ward earned the nickname “Granny Ward” for taking in and caring for orphans. By 1819, the lands she grew up on were sold and she was forced to relocate. She ran an inn for travelers the remaining three years of her life. Ward died in 1822. The Nancy Ward Chapter of the Daughters of the American Revolution built a monument to her by her grave in 1923. It is on Highway 411 North, near Benton, Tennessee. Allen, Paula Gunn. The Sacred Hoop (Beacon Press, 1992). American Indian Women: A Research Guide, edited by Gretchen Bataille and Kathleen Sands, Garland Publishing, 1991. Green, Rayna, Women in American Indian Society, Chelsea House, 1992. McClary, Ben H. “Nancy Ward: The Last Beloved Woman of the Cherokees,” Tennessee Historical Quarterly 21 (1962): 352-364. Mooney, James. Myths of the Cherokees (1900). Native American Women, edited by Gretchen M. Bataille, Garland Publishing, 1993. (1) Robert M. Weir. Colonial South Carolina. Millwood, NY: KTO Press, 1983. (2) Melissa Lukeman Bohrer. Glory, Passion and Principle: The Story of Eight Remarkable Women at the Core of the American Revolution. (New York: Atria Books, 2003), p 237. Alderman, Pat. Nancy Ward: Cherokee Chieftainess. (Johnson City, TN: Overmountain Press, 1990). Bohrer, Melissa Lukeman. Glory, Passion and Principle: The Story of Eight Remarkable Women a t the Core of the American Revolution. (New York: Atria Books, 2003). “Nancy Ward,” Women’s History Thomas Gale, n.d.,http://www.gale.com/free_resources/whm/bio/ward_n.htm (26 June 2006). Redmond, Shirley Raye. Patriots in Petticoats: Heroines of the American Revolution. (New York: Landmark Books, 2004). Weir, Robert M. Colonial South Carolina. Millwood, NY: KTO Press, 1983.